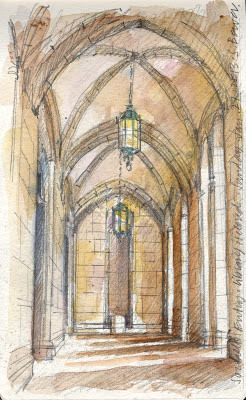 Urban Sketchers Seattle: Rainy and Cold, Suzzallo closed! Rainy and Cold, Suzzallo closed! 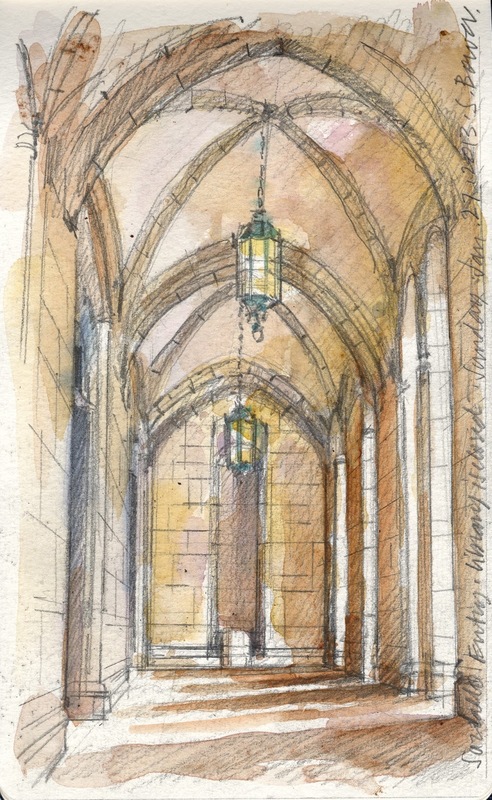 Was so disappointed to miss last week's sketchcrawl, so I decided to go today to UW's Suzzallo to sketch. It was cold, rainy, and the library was closed!!! So I did a super quick sketch of Red Square (didn't have time to draw the buildings, so I painted the clouds), then saw one of my Cornish students, and we decided to sketch the entry foyer of Suzzallo.